One of my favourite vegetables is potatoes. 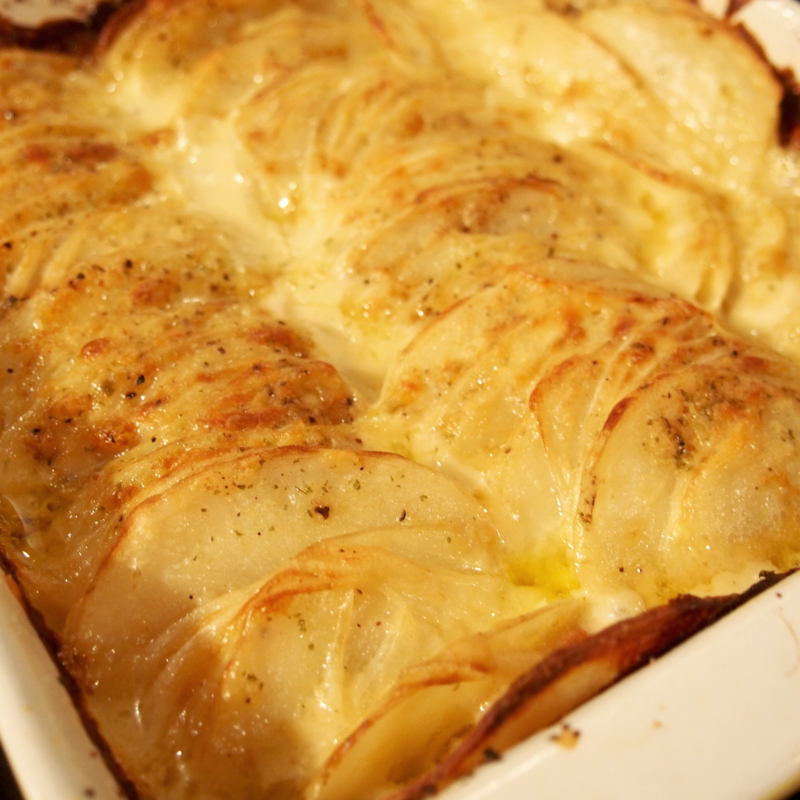 And au gratin potatoes have to be one of my favourite ways to have my favourite veg! Cheesy and creamy and potatoey! I had a few potatoes and wanted to make something that would give me enough leftovers for lunch the next day. I dug up this recipe on Spend With Pennies and it was a great rendition of au gratin potatoes. Instead of the usual flat layers, it was done like a fancy ratatouille. It was not only heavenly, it was pretty. Pam spray a casserole dish (square or round). Alternate slices of potato and onion, forming stacks. Place the stacks in your pan, gently pressing down to form a row of layers. Sprinkle the potatoes with salt and pepper, and a bit of Mrs. Dash. Hold the potatoes apart to get the salt and pepper inbetween. In a medium sized sauce pan, melt the butter. Add the seasonings and milk, whisking until smooth. Add the cheeses and whisk until smooth. Pour over the potatoes, letting it get inbetween the slices. Give a light sprinkling of parmesan cheese. Cover with tinfoil and bake for one hour. Remove the foil and bake for an additional 30 minutes.